Benfica have won the race for widely-coveted Arsenal youngster Chris Willock. The 19-year-old has signed a five-year contract at the Estadio da Luz after a race for his signature that included a host of Europe’s top sides. Willock was widely coveted when it became apparent that he would not extend his contract at Arsenal after being given limited opportunities to establish himself in the first-team. The Portuguese champions defeated the likes of Manchester City, Borussia Dortmund and Celtic to secure his signature, with the lure of regular football being crucial to Willock’s eventual decision. Willock had been offered a new contract at Arsenal, who had been eager to keep one of their brightest young prospects. Arsene Wenger had spoken glowingly of the winger’s “natural strength and natural talent” but only used him in the EFL Cup last season. 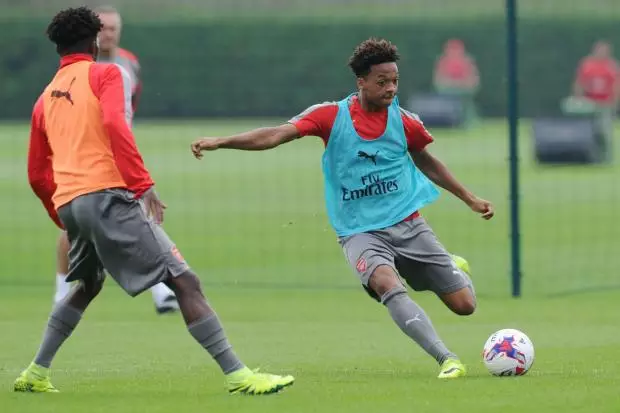 With a plethora of options in the senior squad and the likes of Reiss Nelson and Jeff Reine-Adelaide also emerging from the youth setup it appeared doubtful whether Willock would be given more opportunities to establish himself next season. Arsenal will be entitled to compensation from Benfica for the training and development of Willock, whose younger sibling Joe remains in the Hale End setup.